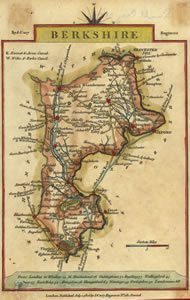 The Berkshire Local History Association (BLHA) was founded in 1976 to encourage interest in local history in the county, both before and after the 1974 boundary changes. This includes education and training, research, and publication. Links with Universities, Record Offices, etc. Oxford University Department of Continuing Education, and The Workers’ Educational Association, which arrange classes in the area. The History Department of the University of Reading, and the University’s Museum of English Rural Life. At a national level, the British Association for Local History. We hope that anyone interested in local history, at whatever level, will want to join us and find the support and encouragement which we provide.